What are the major tasks of estate planning? Put together a will and/or trust. Name an executor of the estate, and if there is a trust, successor trustees. This person will be in charge of making sure the provisions of the will/trust are carried out, so he/she should be someone you trust implicitly. What is a trust, and how can it benefit my heirs? 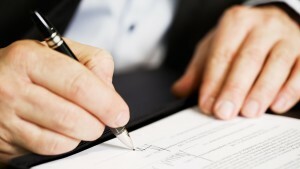 If I have an estate plan, do I ever need to alter or review it? It is important to keep in mind that an estate plan needs to be reviewed occasionally in order to account for the many changes that life can bring. Tax laws change, beneficiaries move to other states, and changes in the family occur through birth, death, and divorce. Your Redondo Beach estate planning attorney recommends that you review your estate plan every 2-3 years. What can happen if I don’t have an estate plan? Most people understand and intend to keep their “affairs in order” so that beneficiaries, spouses, and family have a way to move forward upon one’s incapacity or passing. Effective estate planning is the process of putting one’s affairs in order. Without an adequate estate plan, upon death, a court proceeding will likely be necessary and your assets will be distributed according to the state’s rules of intestacy. Those rules might surprise you. When you develop a plan for leaving assets to your heirs, it is very important to work with a knowledgeable Redondo Beach estate planning attorney who understands the complexities of probate law. ETM lawyer E. Thomas Moroney has extensive experience helping individuals with their estate planning needs. Call the Law Offices of E. Thomas Moroney today.